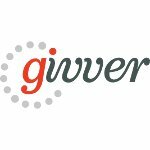 Givver.com is a St. Louis-based not-for-profit-focused technology platform founded by Chris Sommers. It focuses on encouraging social media users to donate via social networks, namely Twitter. Donating with Givver is simple. All you have to do is sign up and tweet to donate. Your tweet needs to include #give hashtag, Twitter handle of the cause you want to support, and a $ amount you are willing to donate. Givver provides an opportunity to support a variety of non-profit, educational, and political organizations. The number of Givver organizations is constantly growing. The aim of Social Media Giving Day is to promote social media as a means to support charities and causes by donating and raise public awareness about the importance of fundraising. The holiday was declared by some mayors and governors across the United States, but it has not received the national status yet.